Kampung Senang is an eco-conscious charity reaching out to serve all people regardless of cultural or religious background through compassion-filled charity programmes and education on holistic environmentally friendly lifestyles. It provides compassionate care for people in need, spur adoption of health enhancing and eco-friendly lifestyles, and foster harmony within our communities and our planet. 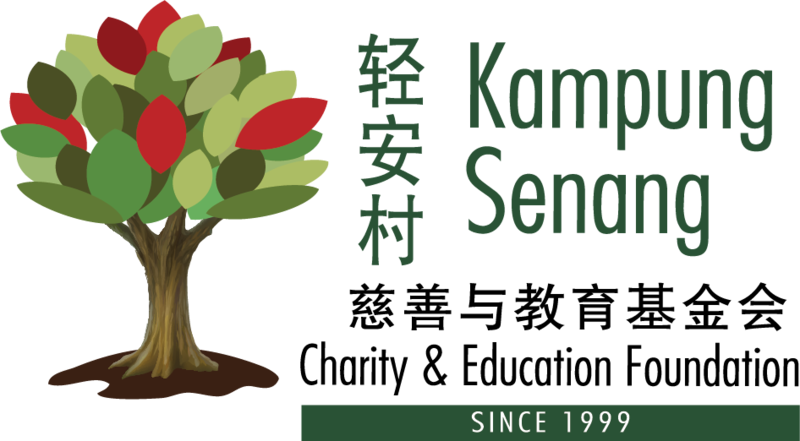 Kampung Senang delivers its caring mainly through children care, student care and elderly care services, mobility aids and neurofeedback services, holistic support for people affected by chronic illnesses and TCM services, as well as educational programmes for the general public. Kampung Senang intended to use the funds raised for furtherance the mobility aids services in the West of Singapore. Currently Kampung Senang Mobility Aids Services and Training Centre (MASTC) is located in Tampines though MASTC is serving the needy island-wide however those people with physical disability staying in the West has challenges to send in their wheelchair for servicing and repair. Kampung Senang will use the funds to establish a new mobility aids servicing centre in the West, publicising its services and engaging the communities. Kampung Senang will invites YFC teams to visit its MASTC in Tampines and share on how does it impact the people with physical disability and their caregivers.